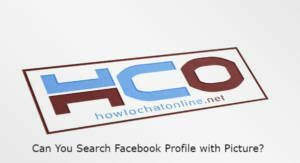 Can You Search Facebook Profile with Picture? If you would like to find someone profile with a photo, that won’t be easy for you. There are some requirements for search Facebook profile with a picture. The person you are looking for shouldn’t disable search engines to crawl his/her profile. There is a privacy setting for this on Facebook. If he/she enabled this option, it will be impossible to find him/her. You can also see this page: How to Do a Google Image Search on Facebook? Click on the camera icon which is located in the search field. Click on “Upload an image”. Find the location of the picture and upload it to the Google Image Search. Wait until Google uploads the image. If you don’t see anything in the result, it means Google Search couldn’t find your friend. We recommend you to not to expect much from other image search engines. This is not a high possibility to find someone but there are things you can do still… You can try someone’s Facebook account with searching his/her name and location on Facebook. For example, your friend’s full name is Garina Djordjevic. She is from Aalen. Don’t forget to add ” marks in your search words. It will help you more and results will be focused on the name more… If you know where he/she is studying or studied, you can add these information too. You can also add some alternative stuff. More words will make you to find your friend easier on Facebook.